Why call a cake a “lunchbox” cake? 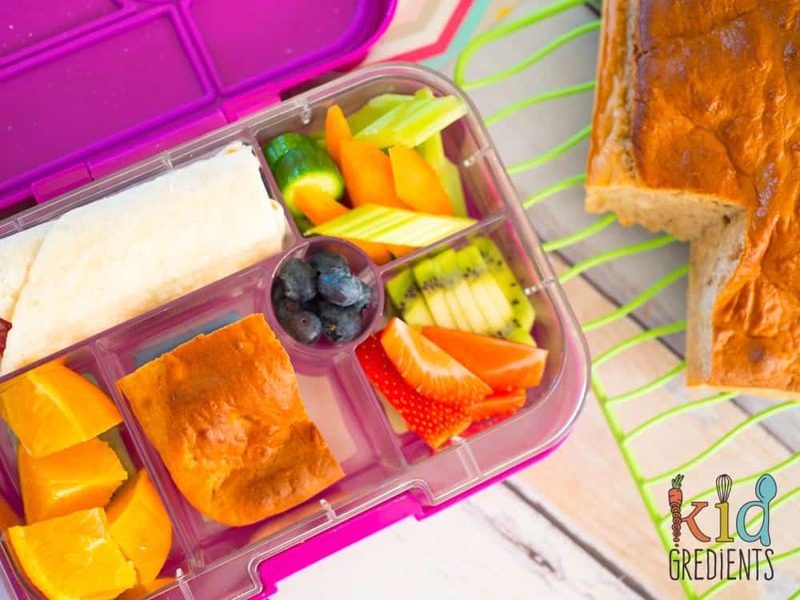 Well, because it is specifically designed to freeze well, cut easily and defrost nicely in the…wait for it…LUNCHBOX! 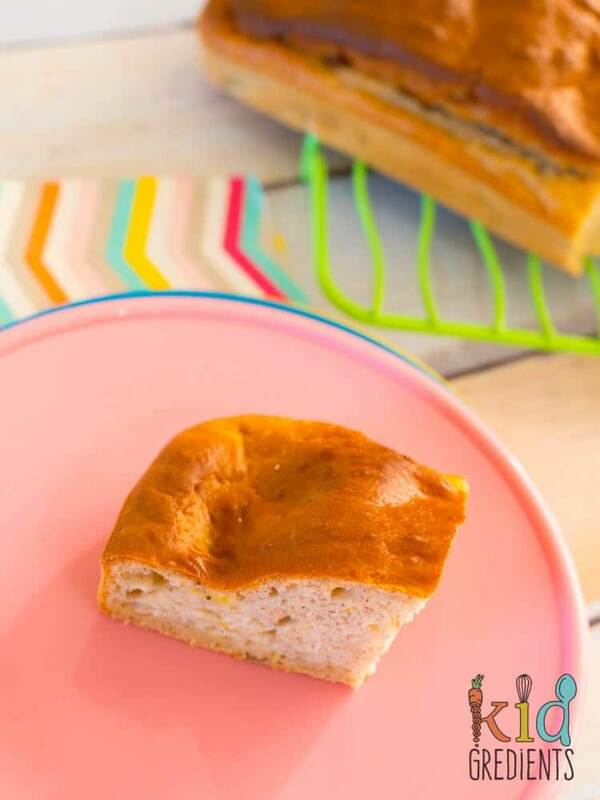 Cake is such an awesome treat for the lunchbox, it holds up well, is delicious and is a nice way to make it a little more fun. 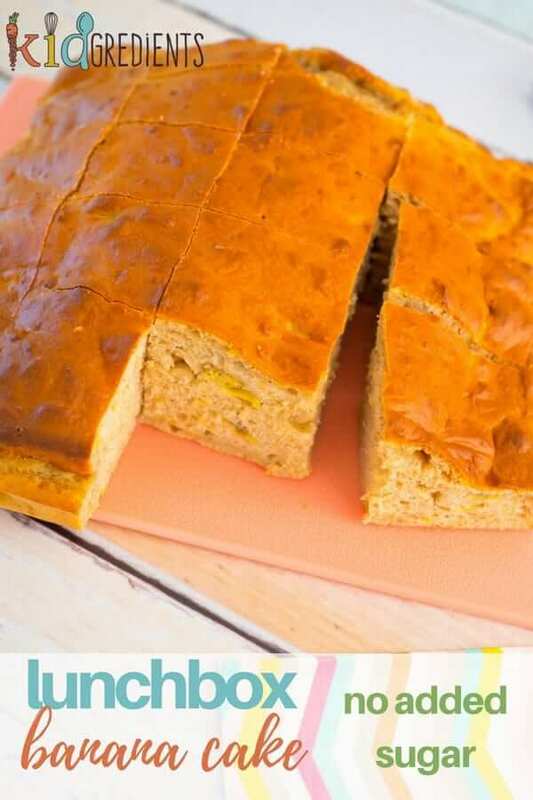 And this no added sugar lunchbox banana cake is a favourite here! When it comes to cakes for the lunchbox, I don’t ice them and I don’t add stacks of sugar. Why? Because I’ve been a teacher. No-one wants sugar filled kids in the afternoon after lunch. Trust me. This cake has been something I’ve been making for a long time, but I’ve never blogged it before. 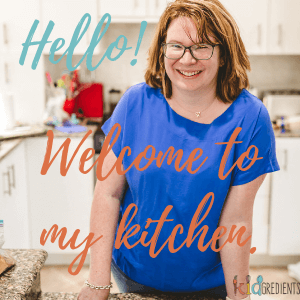 I assumed you guys would be all over banana cake, so I didn’t bother, but then I saw multiple questions about banana cake in my lunchbox groups, and I thought…let’s go! The best thing about this banana cake is that it uses up 4 small (or 2-3 big) brown bananas. 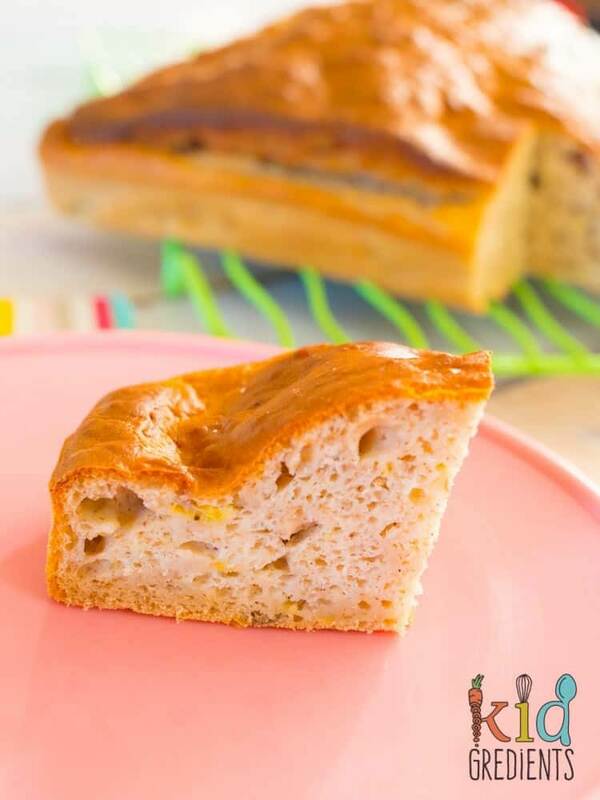 This cake is airy, but at the same time it doesn’t crumble heaps- that’s thanks to the yoghurt that helps to stabilise everything in the mixture and helps to give it a nice texture. 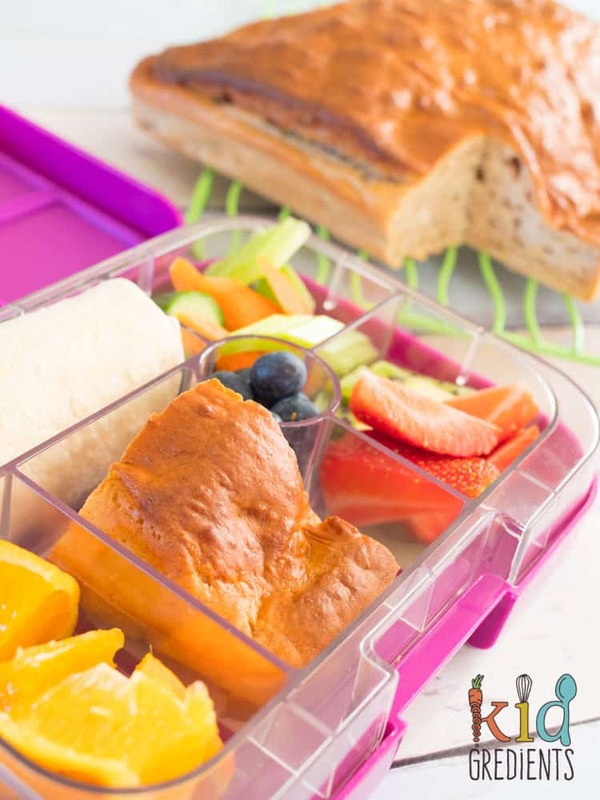 Freezable cakes are the best for lunchboxes as it means you can have a whole host of things cooked up and ready to go and that means that the kids don’t get sick of one thing. I find if I bring the same thing out from the freezer max twice per week they enjoy it more. Looking for some more brown banana recipes? This best ever banana bread should help, or these weetbix cookies will use some too! 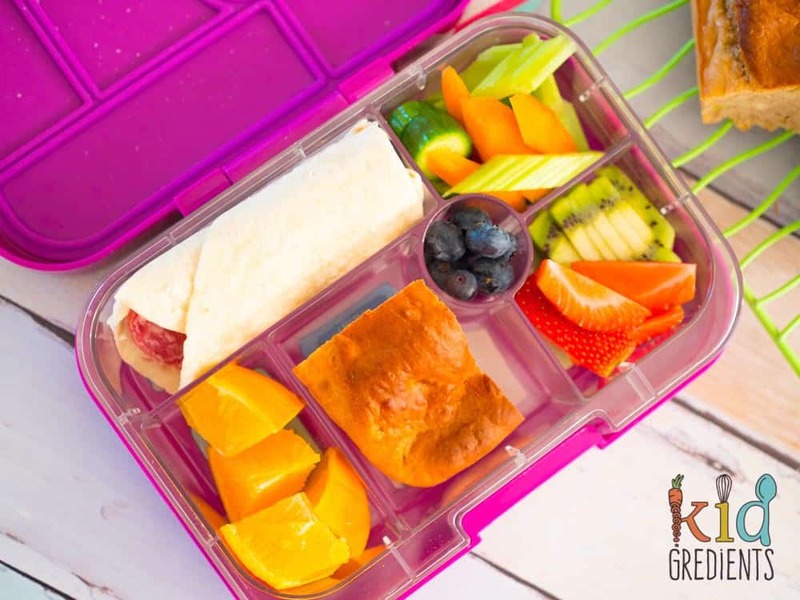 If you’re looking for more freezable lunchbox fillers, you could try this post- there are over 50 in it! 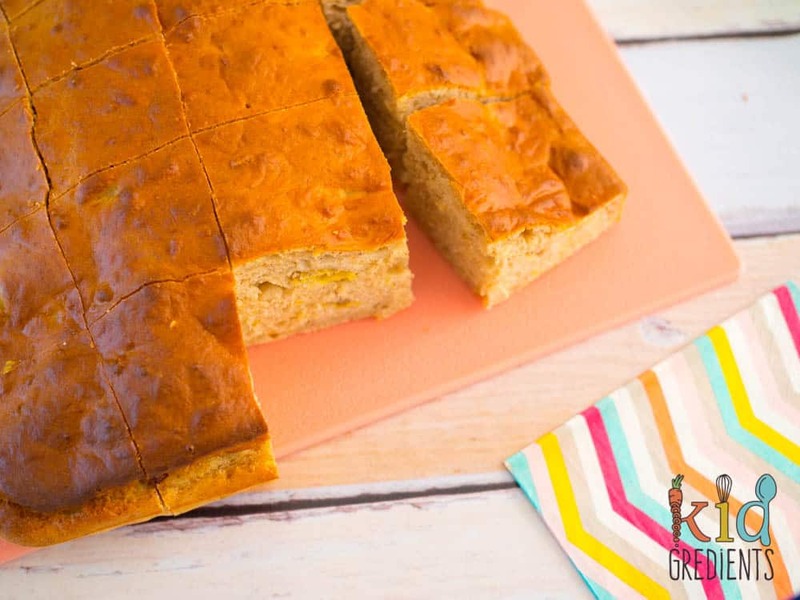 To freeze this cake, simply cut into squares and freeze flat. Then transfer to a container once solid! 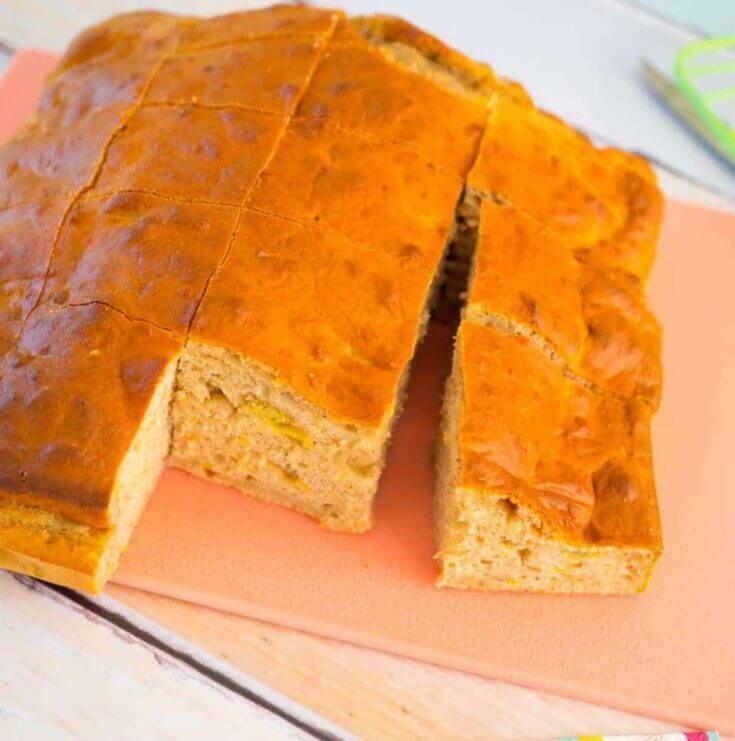 This lunchbox banana cake has no added sugar but still tastes amazing! Smush the bananas, add al ingredients to the bowl. Pour into a lined (or silicone) 20 by 20 cm cake tin. Cool in the pan 5 minutes, then transfer to a wire rack.